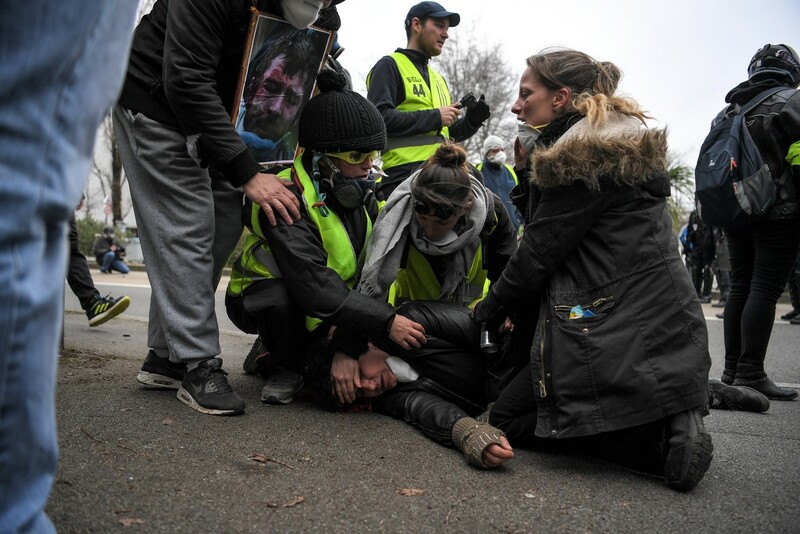 However, police also took beatings, as several protesters were seen punching officers, including one right in the face (although they were protected by a helmet). 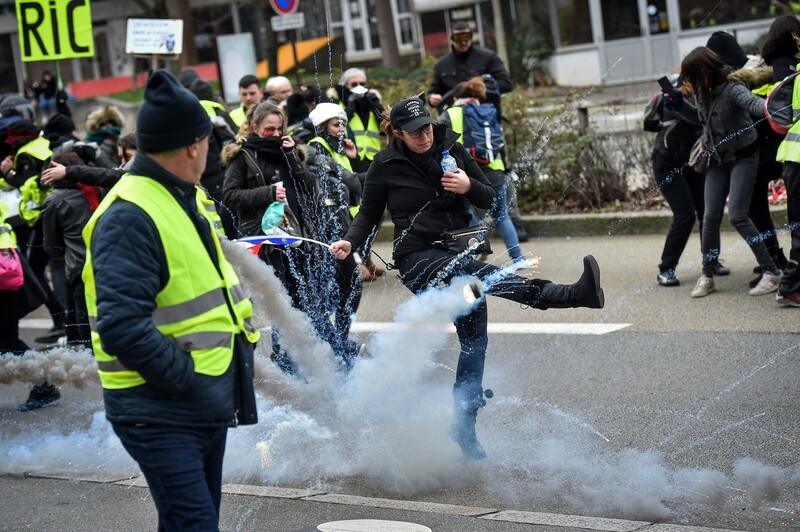 Demonstrations in other cities across France have remained mainly peaceful, but some scuffles did break out in the city of Nantes, prompting police to fire tear gas. 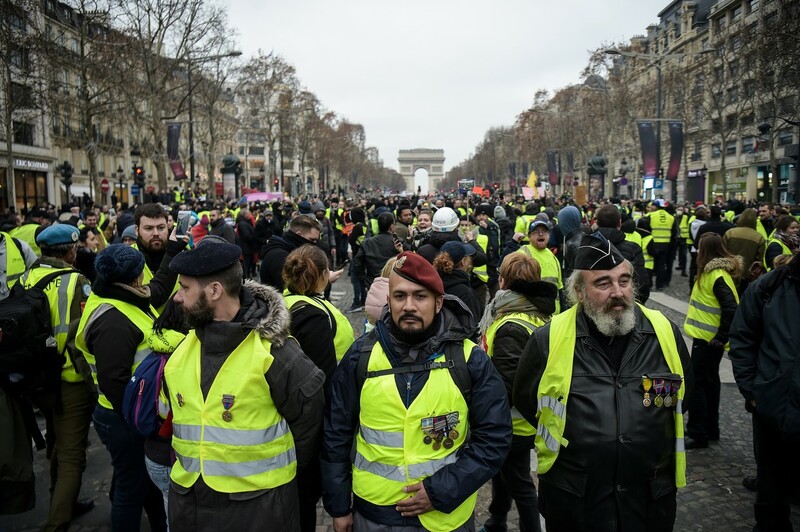 The Yellow Vest movement started in mid-November as a protest against a proposed hike in the cost of fuel but quickly broadened to include wider discontent against the policies of President Emmanuel Macron and a fall in living standards. At its height, some 282,000 protesters gathered on the Champs Elysees on November 17.